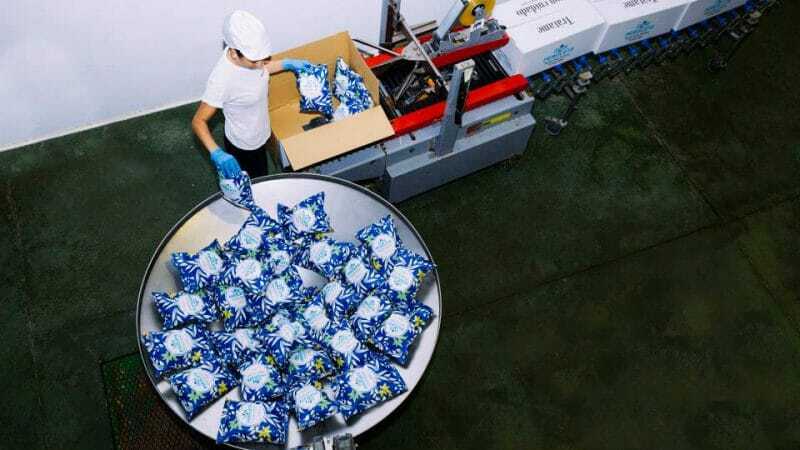 The market for 100% natural potato chips has been growing exponentially within the last few years and has become very favourable for our company, since we grow, manufacture the product, and deliver it directly to our customers. 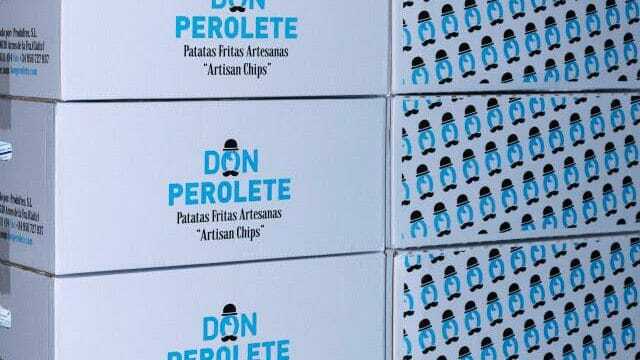 We truly do offer the best version of a potato chip with a homemade, artisanal flavour. Stone Removal. Process in which all the possible stones and mud are removed from our potatoes when they come to us from the countryside. Potato Peeling. 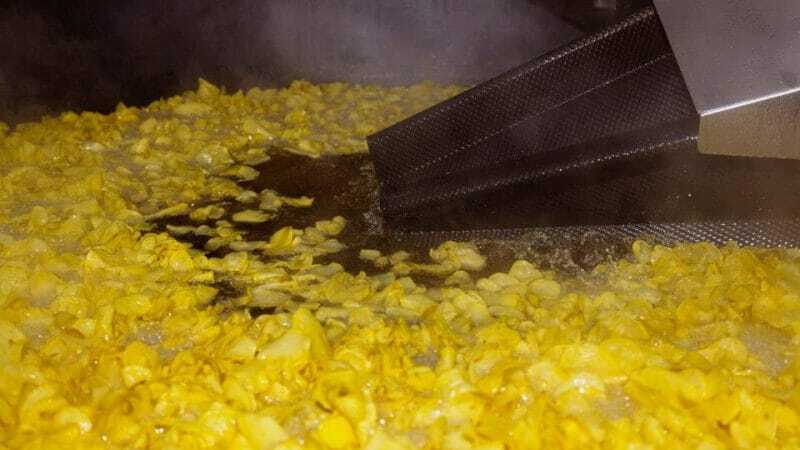 Consists of removing the skin from the potatoes by abrasive elements inside the peeler. Conveyor Belt Examination. 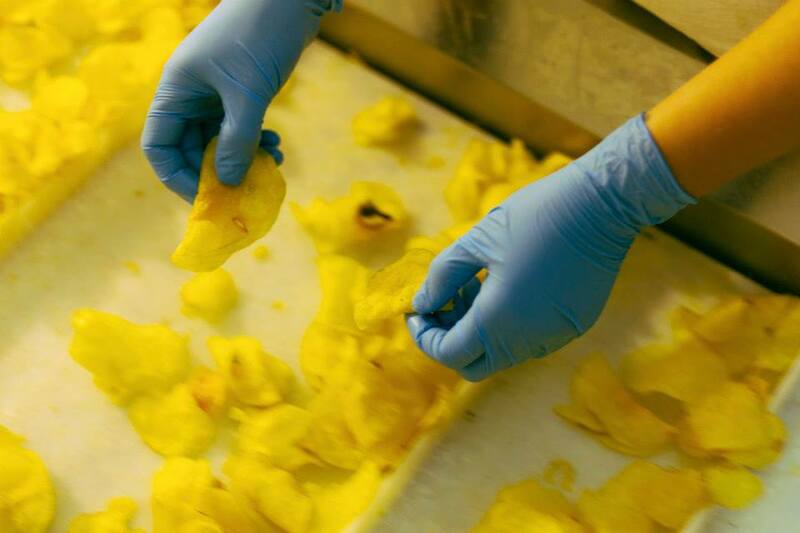 Consists of workers visual inspecting the potatoes in order to remove those which do not meet our quality standards. Potato Cutter. 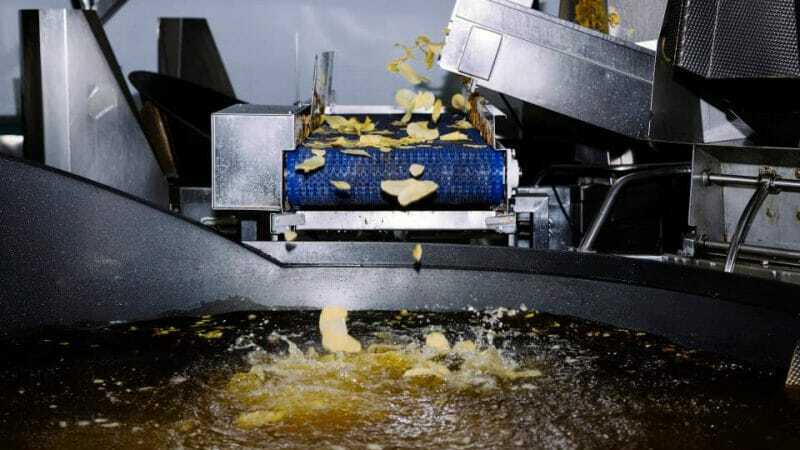 It is an automatic machine with blades that cut the potatoes into chips. Pan Frying + Seasoning. 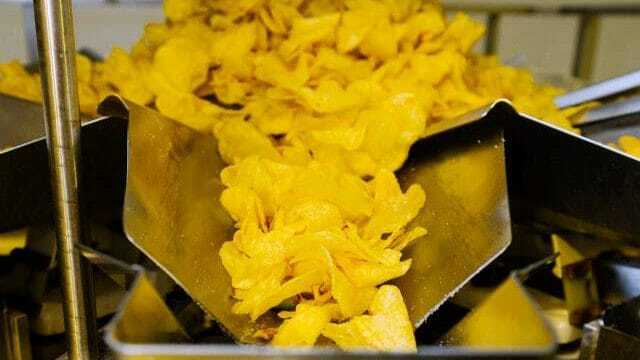 Small batches of potato chips are fried in a stainless steel frying machine. Salt is dispensed in a curtaining action; this allows us to optimize the use of the salt. Cooling Conveyor Belt + Multi-headed Packer. During this process the product is cooled before being packaged. 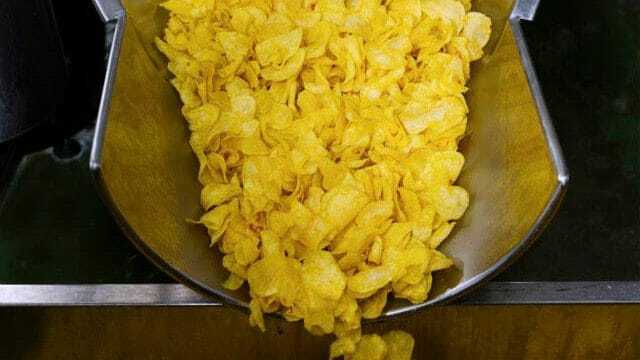 The multi-headed packer allows us to precisely weigh out our potato chips according to the size of the package desired. Metal Detector + Packaging. This machine detects metals of any type (aluminium, iron, and stainless steel) and excessive humidity inside the package. Once this process is finished, another machine forms boxes, packs the product inside, and closes them.